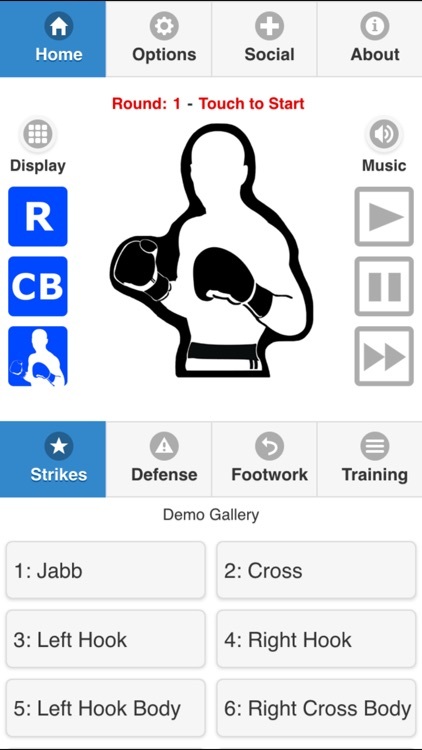 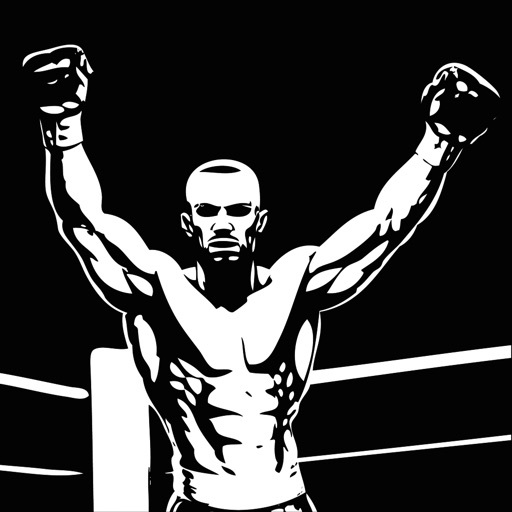 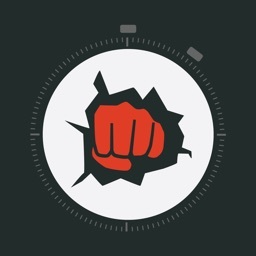 The ultimate boxing and fitness trainer for your mobile device. 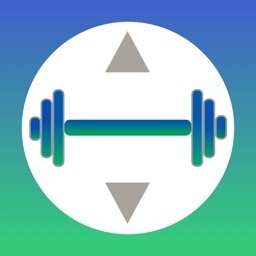 Years of training experience come together in the most complete program to rapidly improve your strength, cardio, reflexes, balance, and mental health. 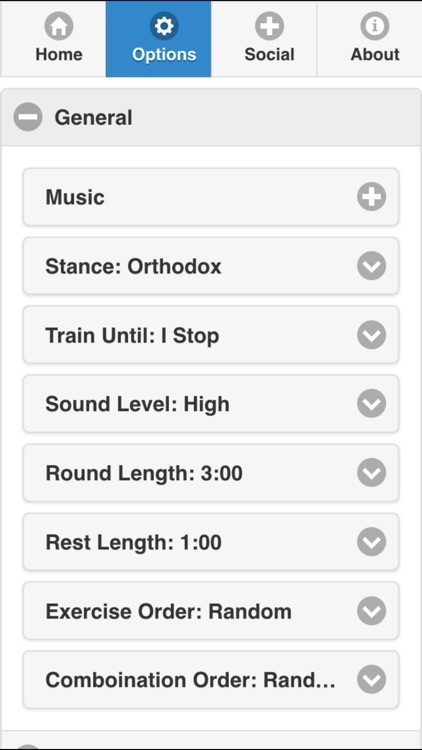 Check out the latest version - we now have an integrated music player, alternate numbering systems, and a new target view. 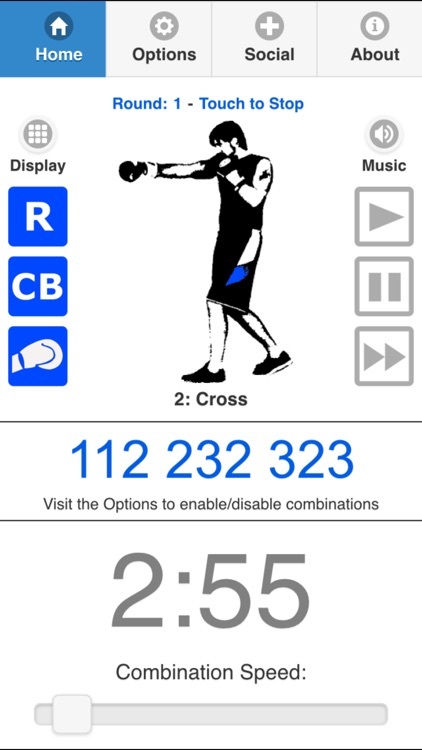 This application integrates with the Health App (HealthKit) to store and track caloric information corresponding to your workouts. 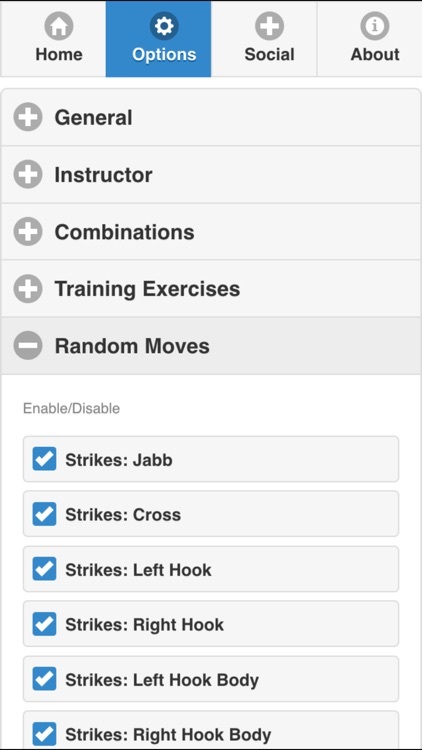 Please see the Social Tab for more information. 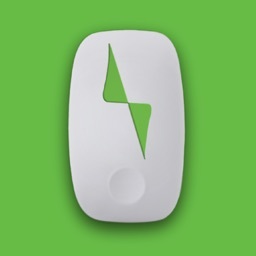 Use the "Send to Apple HealtKit" button to transmit your information to Apple Health. 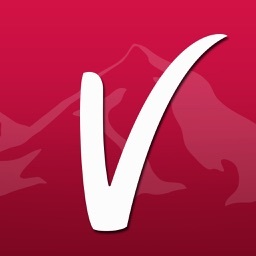 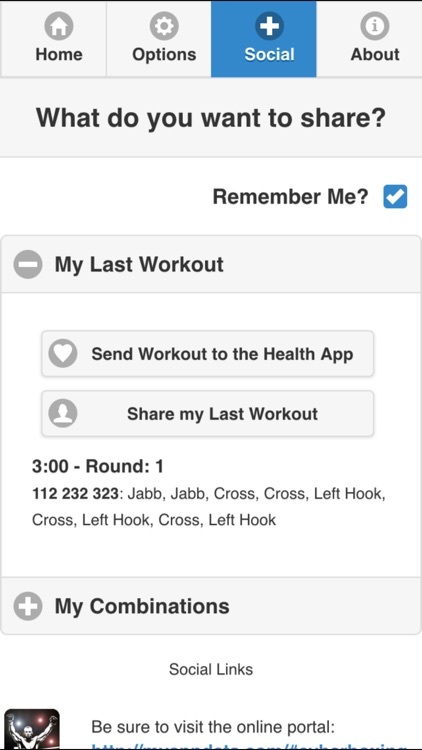 Use the "Share" buttons to upload your workout or combinations and they can be sent to various social media outlets.